Our 2019 gathering will place attention upon practical participation, action and solidarity, so we may stand together strengthened by our unity and diversity, to address the great challenges of our time. Find out more about this year’s event on the conference website. The call for workshops is now live as well – find it here – so start thinking about what you and your network would like to offer and showcase at this year’s event. 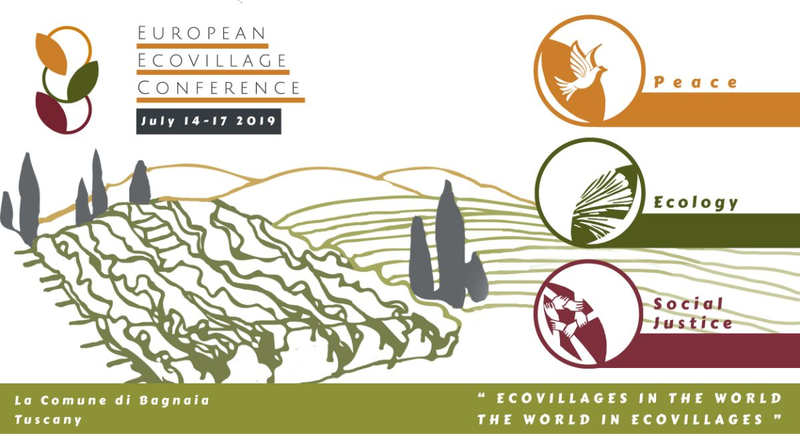 The conference is enriched through the diverse participation of new and old ecovillagers, and a wide audience from beyond our networks. Please do help us reach out to individuals and collectives who would feel inspired by this year’s theme! 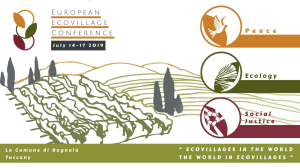 As we have communicated previously by email, this year we are introducing a small contribution of €50 for delegates, in response to our need to balance accessibility and financial sustainability at the conference. This contribution will apply to the same number of delegate places as always: 5 places per national network, 3 per ecovillage, and 1 per aspiring member. For those not eligible for delegate tickets, this year we are experimenting with a tiered ticketing model, which has allowed us to develop lower price tickets for most participants. This means that for participants to access the cheapest tickets, they should book early – as soon as the quota of lowest-price tickets has sold out, another set will be released at a somewhat higher price, and so on. This means it is important to encourage your networks to book early to get the best price! We are also offering discounts to under-25s to encourage youth participation. We’ll be in touch again soon, and look forward to seeing you all in La Comune di Bagnaia.